Hanging out with Paul Gilbert and Thomas Lang.! 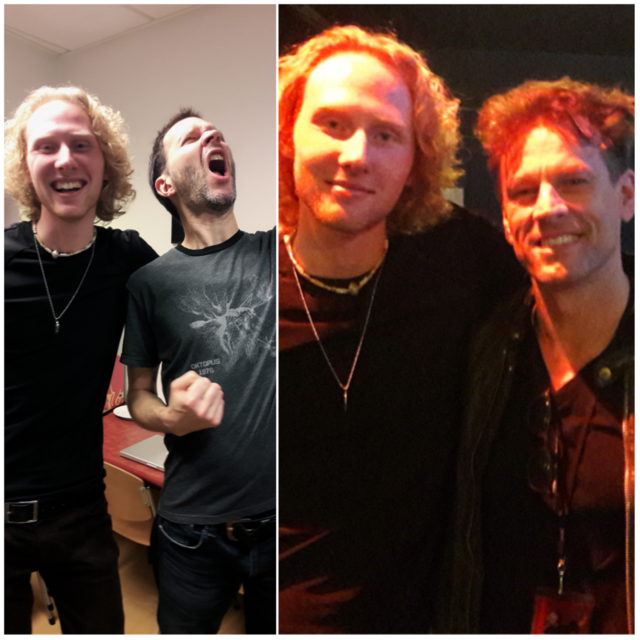 So last Monday was awesome.. First of all to be invited by Thomas Lang to watch a killer Paul Gilbert show. And second, to hang out with the guys backstage.. Thanks Thomas and Paul. !